Those who don't have certain issues in their life often wonder why some people are always complaining or in the habit of going from place to place to seek help. They think life is just 'ordinary'. 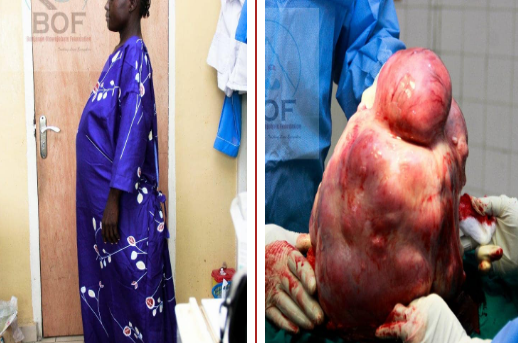 A Lagos doctor, Dr Benjamin Oluwatosin Adesoji Olowojebutu has successfully removed a massive fibroid which weighed 7.9kg from the stomach of a woman. You may which to know that this woman has been carrying it around for 9 years. The woman who lives in Ikorodu area of Lagos, who sells pure water had been rejected by several hospitals because the height of the fibriod was at the base of her heart, before finally finding a doctor who took up her case. We wish her quick recovery.